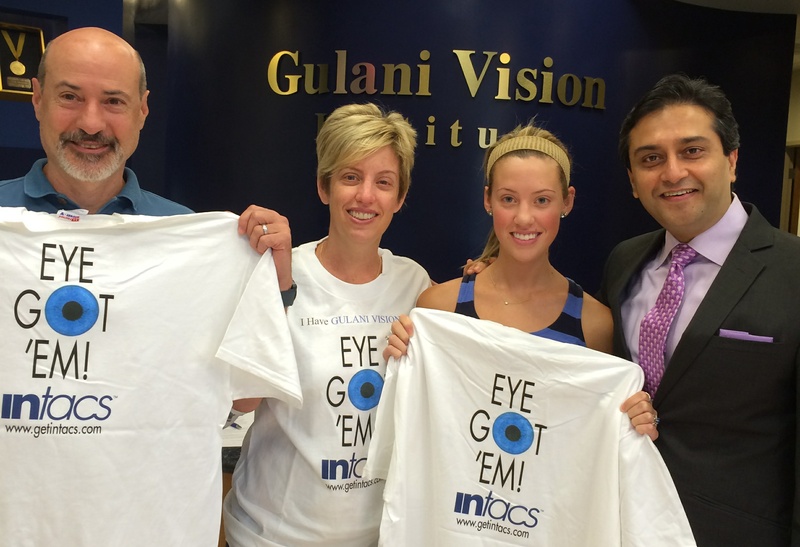 Dr.Gulani’s dedication to inspire goes beyond eye surgeons to every level of society where he encourages people of all ages and all walks of life to excel. Besides “Changing lives” by helping people see the best they can with his artistic and individualized approach to each and every patient, he continues to mentor and guide people to follow their passion. On this page you can see a brief glimpse into his endeavors that continues to have an impact worldwide. Some of the most dignified physicians in the United States have one distinguishable trait in common- passion. As a pre-medical student with aspirations to excel in medicine, I searched for a way to break from the norms of modern-day healthcare largely due to the many deprived aspects of this field. Evolving range of issues, such as the lack of an available medical physician whom patients feel are truly dedicated to their mental and physical needs, have seriously challenged our healthcare system. To further aggravate the situation, the reduction from excellence to mediocrity in patient-care relationships has caused a further suppression of communication among doctors and their patients. However, I have been privileged with a momentous opportunity to meet a physician who is truly a divine influence in providing a level of superiority, unlike what we have been accustomed to. Dr. Arun C. Gulani, director of the Gulani Vision Institute, invited me to pursue an observership and what I experienced has provoked me to infuse your ideas about the foundation of medicine, how patients have been treated, and patients should be treated. I have in my observership at Gulani Vision Institute witnessed one of the most unique and trademark type of patient care and outcomes which is not seen anywhere in the world. Excellent results, honest opinions, personalized well customized treatments where every patient is treated like Dr. Gulani’s own family. Brain-Storming for each patient’s best vision. Unconventional though logical concepts but absolute bang on 20/20 outcomes even in most complex situations. I will utilize these approaches asap for vision 20/20 when I get back to India. Dr. Gulani is Beyond words; most humble, honest, selfless practice, least marketing, no commercial gimmicks and high ethics business with miraculous care for all including complex, disheartened patients. I would say Dr. Gulani is an ICON! A trend-setter, unconventional hero, magician of ophthalmic surgery world. 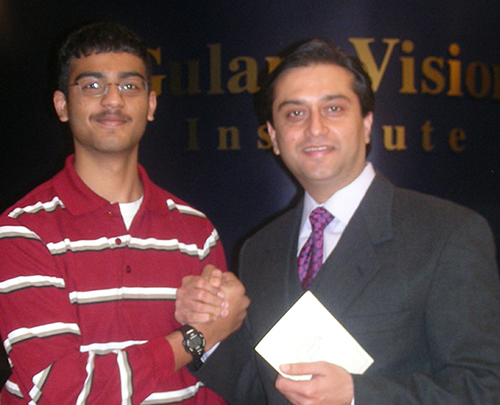 I had a wonderful experience at Gulani Vision Institute. Dr. Gulani always took time between patients to make sure I understood his thought processes and patient recommendations. 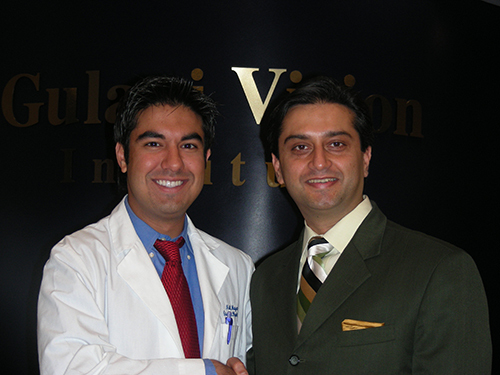 I learnt a great deal regarding ophthalmology while observing Dr. Gulani. Dr. Gulani stressed that safety, logic, and ethic were the primary objectives in treating patients and that on should consider vision as a whole while treating patients, not just correcting one problem. These are philosophies that I intend to make the basis of my future practice. It was most enjoyable. 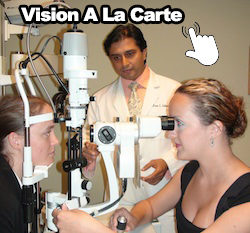 I saw how rewarding correcting people’s vision is. The patients all did remarkably well and were very greatful for their new ability to see. 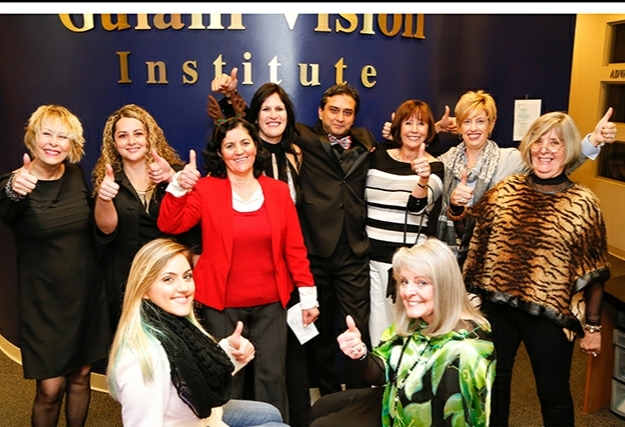 As Dr.Gulani says, “everyone deserves to have good vision”. Dr. Gulani always took time to explain every detail of his thought process providing sound scientific-based evidence as justification for his actions. He always made sure I understood why something was the case and repeatedly asked me if I had any questions going far above my expectations. Dr. Gulani has trained universally and demonstrates his knowledge of ocular variants around the world on a regular basis. 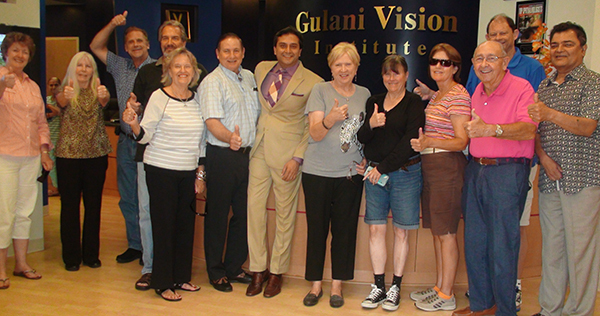 The staff at Gulani vision Institute is Excellent, friendly, and very helpful. I honestly believe Dr. Gulani to be a great physician. He always puts his patient’s interests above his own, never pressuring them or making economically driven decisions. 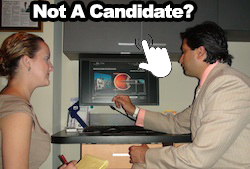 He takes into account each patient’s unique circumstances and comes up with an individualized plan to correct his/her vision as a whole. His passion for the field is not only demonstrated in his practice but also in his teaching. The experience that I gained here could only be considered a “once in a lifetime opportunity”. As a person who has just began to understand this field, I feel that I have already gained a vast amount of knowledge in the short time that I have been here. I was able to learn many of the ocular pathology of the eye and was able to watch many clinical procedures that were done. 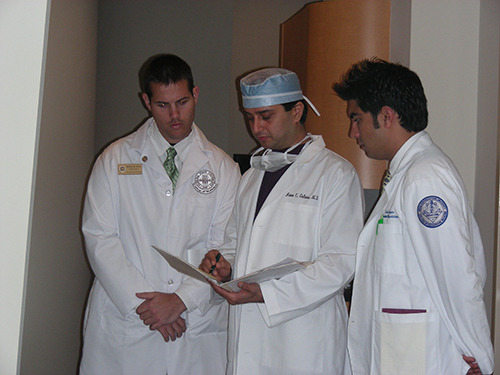 Dr. Gulani always took the time to explain to me what was going on. Being able to work with Dr. Gulani has been a great pleasure. As an intern under Dr. Gulani, I felt that he always went out of his way to help me gain a thorough insight of this field. When I did not understand anything quite clearly, Dr. Gulani took time out to explain it. Dr. Gulani also went as far as to supply me with books on ophthalmology so that I could get an in depth knowledge of this field. I also felt that Dr. Gulani treated me with dignity and respect. He did not look over my shoulder at everything that I did, but allowed me to work freely on many projects that were assigned to me. I felt as if I was one of his colleague, and not just an ordinary intern. The Gulani Vision staff has always gone out of their way to make everyone feel at home. Everyone here enjoys works what they do and always do a little more to make it better. I felt that everyone here always go out of their own way to make this place even more successfull. This stretches from making courtesy calls to check up on patients and to bringing in snacks and drinks for patients on the day of surgery. The atmosphere that one would get when walking into the Gulani Vision Institute is like being at home. 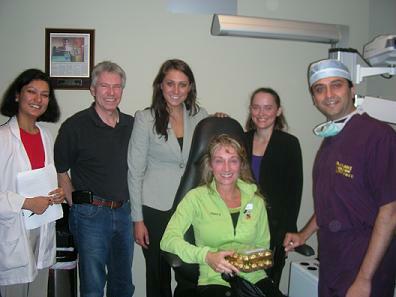 Dr. Gulani and his staff does so much to make every patients feel relaxed. Everyone that walks through the office is greeted in a fashionable manner. Concerns that are generally expressed, such as ocular symptoms, are taken into account the minute that the patient comes in. This, I see, is a very important criteria for any office, as it really helps the patient throughout the time that he or she is there. I learnt from Dr.Gulani about being compassionate to patients, colleagues and staff, about raising the bar on ourselves to deliver the best and about translating innovation into standard of care.The difference with many physicians I have shadowed so far and Dr. Gulani is his commitment to patient’s surgical outcomes, vision >20/20, giving his cell phone, being on a first name basis, etc. Dr. Gulani has given me a valuable insight into the true virtues and realities of medicine, ultimately helping me understand principles of compassion and thought that separates a great surgeon from a “routine”one.Aspiring for perfection in every patient and aiming for >20/20 vision while many other physicians would be ok with 20/20 vision.Dr. Gulani’s focus solely on the patient and the magnitude of care is yet to be matched by any other physician I have shadowed. 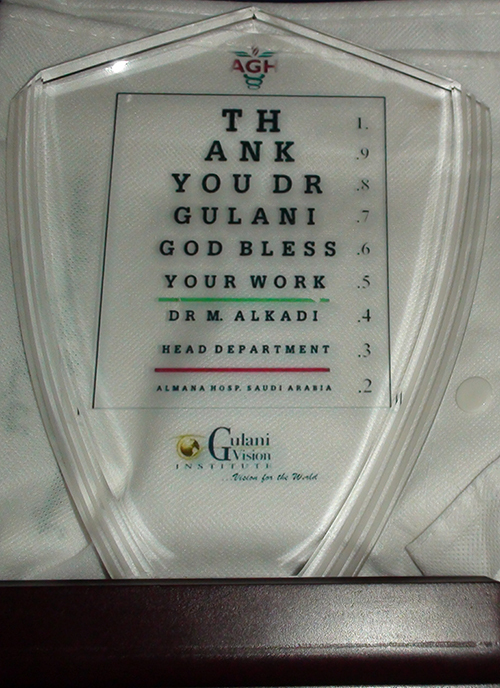 I witnessed Dr. Gulani’s great interaction and care for patients which gives them much knowledge of ophthalmology to a degree that “Patients know more than many other eye doctors they may have visited before seeking Dr.Gulani.”Although I am still in high-school, Dr. Gulani had given me so much attention and time but most importantly, taught me values I will take with me forever. Dr. Gulani has shown me how dedication to the well-being of others is fundamental to improving patient care as a physician. Dr. Gulani, and now, I feel that staff should be a family that is developed through a mutually professional relationship.I admire Dr. Gulani’s work at sharing his approach to medicine to eye surgeons around the world.This dedication of patient care ranking well over financial incentive truly inspires me and so I develop both an understanding and growth in moral values as a student and as a person.This experience will help me understand what fundamental characteristics make-up a world renowned physician and how I, too, can mature to be like one. 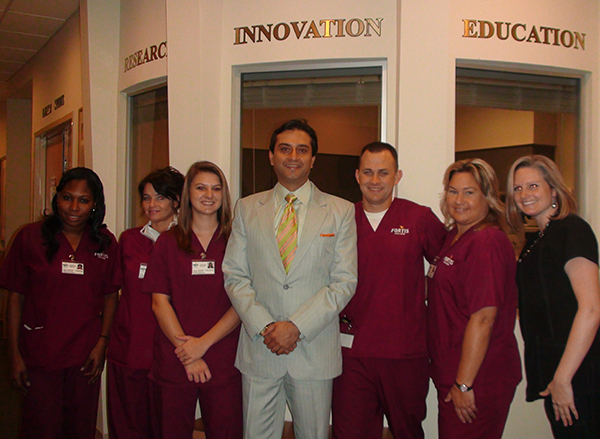 "We traveled from across the globe to Jacksonville to study under Dr. Gulani and learn his LASIK techniques and advanced Vision Corrective Procedures. He is a rare combination of an excellent surgeon, a great teacher and a caring physician. 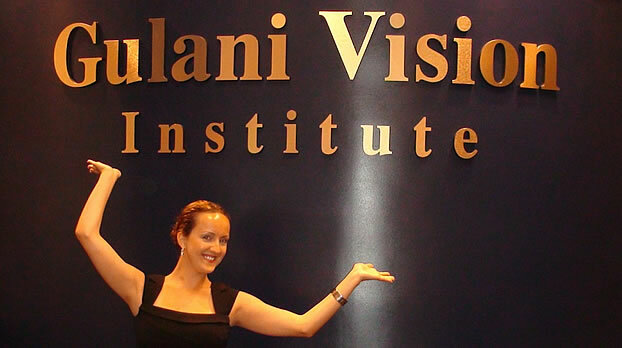 When I entered Gulani Vision Institute as a Fellow, little did I know that just a few months later I would have the vision of an artist; the vision that is an essential part to learning the Art of vision surgery. Creativity is core to both science and art. Not every great piece of art was completed by the artist who conceived it. A fitting example of this is the statue of David, which required the brilliance of Michelangelo to complete the statue that was an unfinished project started 40 years earlier by Agostino di Duccio. Michelangelo's David, unlike his other works was not created from a raw and untouched stone (or marble), rather he instilled his own brilliance to his predecessor's unfinished work. 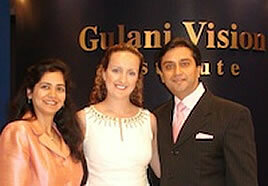 As with art, at Gulani Vision Institute, I have seen Dr. Gulani create a vision masterpiece for every eye. He instills his own brilliance and his pioneering technique into reshaping the corneal defects of patients who have had an unsuccessful corneal surgery previously. 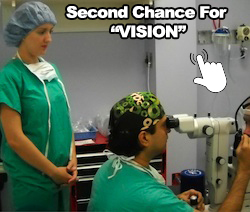 I have seen patients with Lasik complications, corneal scars, and grade 4 keratoconus going home with a vision of 20/20! Dr. Gulani insisted that when considering intraocular surgery with Lens implants; we as surgeons go the extra mile for our patients by taking full advantage of correcting not only the axial opacity (cataract) but also the refractive error with correct lens power calculation. Also consider all options like multifocal, presbiopic, toric or piggy back IOLs in different situations. After Intraocular lens implant we can again use Excimer laser and achieve unaided 20/20. I was extremely fortunate to observe at GVI the application of the new generation topography technologies like the Pentacam (Oculus), advanced vision systems like the Optec 6500 and high-definition imaging systems in everyday practice as very few surgeons in the world own it right now. At Gulani Vision institute I learned to approach each case through the concepts of a new superspeciality called corneoplastique. I started looking at each cornea as a new challenge. It gave me a holistic approach to LASIK and laser vision surgery. 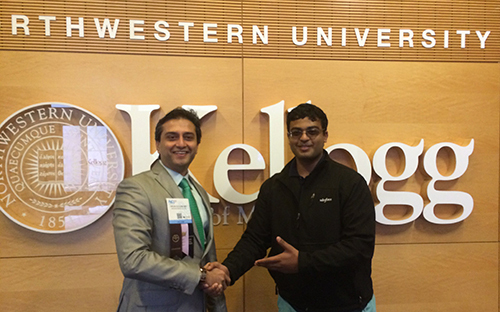 Dr. Gulani encouraged me to develop individualized protocols for each patient and form my own plan for them. He also insists that we involve the patient’s loved ones and families when applicable by explaining in detail our plan of action and encouraging them to ask questions. It was a treat to witness the intense discussions that Dr. Gulani held with each patient in an honest desire to educate and empower them in their choices. I witnessed how every patient became comfortable as their fears got replaced by confidence. It is an everyday event at GVI to see patients flying in from all over the world, ophthalmologists calling and emailing for advice, post operative patients hugging their surgeon or in combination surgery (eg. Lens surgery to be followed by Laser surgery in cases of corneal scars with cataracts and irregular astigmatism) cases to see them share the same enthusiasm as Dr. Gulani as they eagerly await to proceed to the next stage. Amid all this adulance, I have learnt from Dr.Gulani never to lose focus. Dr.Gulani is seriously dedicated to raising the bar in vision with quality care, constantly thinking through each case, tirelessly documenting outcomes and results and sharing his plans and thought process with patients and doctors alike. Refractive surgery is now the most frequent surgery done in the world. It has evolved through various phases, beginning with Tsutomu Sato who introduced radial keratotomy first to Dr. Jose Barraquer who later discovered that lamellar or flap based surgery could correct refractive error. This brought about many developments in LASIK techniques. Svyatoslav Fyodorov's favorite aphorism was ''we (refractive surgeons) make beautiful eyes for beautiful people.” Dr. Gulani’s Laser Corneoplastique as an art of refractive surgery takes this aphorism to the next level. It not only makes beautiful eyes for beautiful people, but beautiful eyes with perfect vision. It is the art to reshape the past and the art to shape the future. 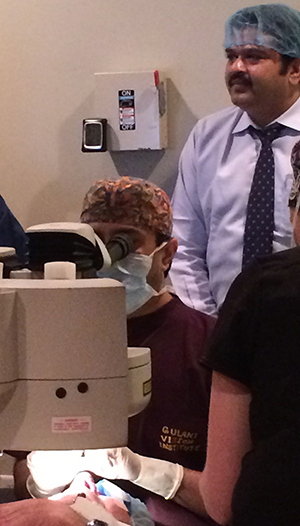 As a member of the next generation of refractive surgeons, I am equipped to address any refractive challenge. I am ready to create my own Masterpiece! As a practicing eye surgeon I have always believed in comprehensive ophthalmic practice and to this effect I have been performing both anterior segment and vitreo retinal surgeries in my patients which basically includes phaco emulsification, glaucoma surgeries, vitreo retinal surgeries buckles,vitrectomies ,angiographies, ultrasound, lasers (argon/yag), and even oculoplastic procedures . Since I have fellowships from premier Institutes in India, I am comfortable performing all these procedures and have always been satisfied with the spectrum of my practice in the past 5 years. 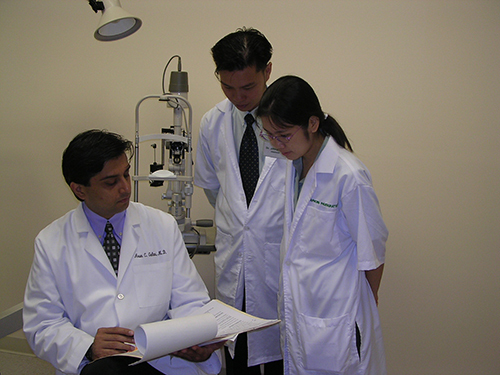 One area of my practice has been cornea .Although I have also been formally trained in LASIK surgery and I have performed it in my patients quite successfully it has mainly been on "normal" patients requiring cosmetic corrections. Since most of the cases of cornea are medical cases and penetrating keratoplasty has a guarded prognosis I believe this is as far as most ophthalmologists venture in their practice of cornea which is also because of a chronic shortage of donor corneal tissue . 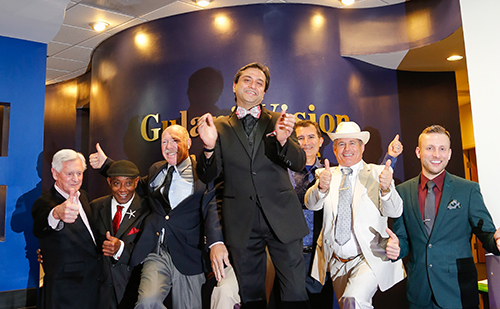 However at Gulani Vision Institute when I observed the wide spectrum of corneal pathologies successfully rehabilitated and that also with minimal invasive procedures I had an eye opening experience. Using the Excimer laser as a tool to sculpt the cornea and to use the cornea as a final platform for 20/20 vision is what "Corneoplastique" emphasizes. Also it stresses on using alternative methods like intra corneal rings and amniotic membrane transplants to treat seemingly hopeless cases . Dr Gulani has coined the term "Corneoplastique" to emphasize the importance of the cornea and rightly so. The point is that it is not necessary that all seemingly bad cases have to undergo a keratoplasty . At a zero percent recurrence rate, the technique of Amniotic membrane transplant is definitely a promising one besides being cosmetically pleasing to the patient . The positive patient feed back that I am a witness to emphasizes that we should give the pterygium more attention than it is being given to presently . Patients with recurrent pterygia are miserable but after the procedure they were very grateful to Dr Gulani . Intra corneal rings can definitely reduce the mean keratometry of the cornea thereby allowing CL wear and allowing the patient to avoid surgery besides being a short procedure which has no major issues like rejection and the central portion of the cornea remains clear .Besides it is reversible and you can always do a PK at a later date . with a donor graft .It is refractively neutral and rehabilitation is rapid .No PK required. Anterior and posterior Lamellar surgeries I witnessed I believe can now help in better utilization of a single cornea. And not to forget the patients who were miserable after previous RK/HK/AK procedures. I observed how Dr Gulani converted these corneas into functional and stable corneas with the excimer and advanced surface ablation to reduce the irregular astigmatism and give 20/20 vision. When I studied these cases I realized that it was so logical and promising. Scars treated with the Excimer laser can bring the greatest joy both to the surgeons and the patients . It is nothing short of a miracle. Earlier these patients would have to undergo a tedious PK or live with it. I have seen patients with keratoconus ambulatory in 1 week happy with a minor corneal ring segment procedure or a anterior lamellar graft . Also Fuch's dystrophy cured without a PK - out and about in a week Band keratopathy treated without a donor cornea and a four time recurrent pterygium at peace . I must thank Dr Gulani for allowing me to witness and grasp all the latest advanced procedures that he performs which I believe are the frontier of refractive surgery that all and one should try to achieve . I hope my patients hug me the same way when I promise them these alternatives as the patients I have seen hugging Dr Gulani. “Vision for the world”, these are the words I saw as I entered in Gulani Vision Institute on my first day as a fellow doctor under Dr. Arun Gulani. Being new at his office and ignorant about GVI’s capability, the very first thing which came to my mind was, “how this can be possible?”. But at Gulani Vision Institute this is possible. I cannot say much about a person or institute where I started working just few days ago but I certainly want to share the mind blowing experiences I had at Gulani Vision Institute. 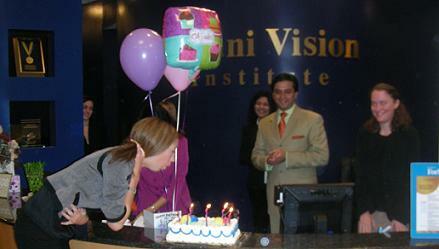 My just one day experience was enough to prove the capability of GVI to change the vision of the entire world. Being from a medical profession, I know how it feels when a patient is crying of happy tears after his surgery. In my 9 years of medical experience I have seen just couple of them being happy and very few being content of what they got out of a surgery. I haven’t seen so many patients crying tears of happiness in just a single day. I can’t believe my eyes, consecutively three patients just cried in front of me as if they got something which they haven’t imagined in their dreams. I was spellbound looking at their expressions they had on their faces that something impossible have happened to them. Talking about United States of America is very tiny in GVI, here we see patients from all over the world. In just three days I have seen patients from Morocco, United Kingdom and Germany. Daily, I am seeing patients coming from all parts of the world or distant areas of USA. 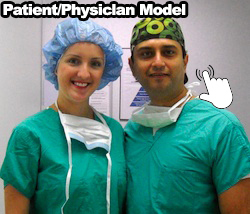 I have seen patients flying miles just for a picture with Dr. Gulani or to share their experience on videos. Yes, the same videos which before coming to this miraculous place I have been thinking were mere actors performing for GVI. They were true patients sharing their happiness in front of my own eyes. Majority of patients don’t just want to shake hands and good bye but they want to hug Dr. Gulani before leaving. Also the educational exposure I am having at GVI is amazing. On my first day at GVI, I saw patients of Keratoconus, previous surgery complications, Pterygium, Cataract all in just one day. It was astounding to see Post op Pterygium Day 1 patient. They didn’t even look like that they had surgery on their eyes a day before. No redness, no swelling, no excoriating pain. The most thrilling part was to see legally blind patients walking in the hallway on their first post Lasik day with joy of their unaided vision. This is the place where miracle happens every Tuesdays and Thursdays. 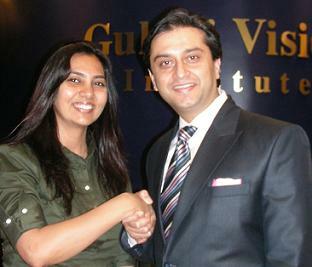 Most importantly, the unparalleled patient care which GVI provides to patients is fantabulous. Every patient is been taken care of as a family member. This is the first office I have ever seen, where the patient care begins from his very first inquiry and it continues till years. In GVI patients don’t have to search for their doctor. Here, their doctor is in their regular contact from the very beginning till years after that. You must have heard a saying “A busy person always has time for everything” Dr. Arun Gulani is a perfect live example of this. I am so amazed to see his time management, that in spite being so busy, he still has time for everything. He is always approachable for even a small question from his patients, his staff or other doctors. That also makes him different from other doctors. I have seen very few or to be honest, not a single doctor who has this kind of passion for his profession and patients as well. 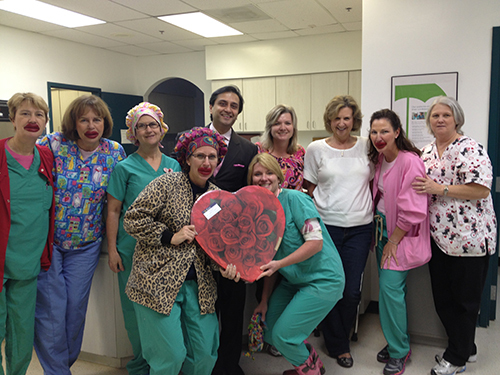 Truly speaking Dr. Gulani has a real passion to help people see. 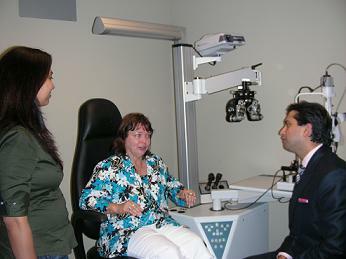 Dr. Parul S. (Eye Doctor). Last Friday I had an opportunity that many people could only dream about. I spent my day observing my new employer in his daily setting. Dr. Arun C. Gulani hired me to work with him as a research assistant in his efforts to publish his current medical innovations. But before we could get down to work, Dr. Gulani wanted me to get to know the nuts-and-bolts of his practice, so I could experience the personal philosophy and see firsthand the groundbreaking work that is being done right here in Jacksonville. Dr. Gulani met patients with varying needs and complexities. Yes, going out into the 7 star Lobby (not “waiting room”) and personally shaking hands to welcome them. Some of them were new patients, and some were patients in recovery just following up. A few of them had been sent to see Dr. Gulani because other eye surgeons had thrown in the towel. Two of them were doctors themselves. Some were Jacksonville residents, but many were coming from out of state and even out of the country. Every one of them was new to me, but they all struck me as having one thing in common: they had all put their confidence in this man to handle one of life’s most precious gifts – the ability to see. I won’t go into all the clinical details except to say that Dr. Gulani is an expert in matters relating to the Advanced Vision Surgery and vision itself. He sees patients from all over the world – all anxious to seek his expertise. Where other physicians simply choose a pre-determined procedure to apply to a patient, Dr. Gulani goes the extra mile and plans a custom-made surgery specifically designed to treat the individual patient. It’s something like buying a suit off the rack. It’s easy to walk into a store and buy a suit that claims to be your size. But wouldn’t it be better to ask the tailor to make the suit according to your specifications, not the other way around? Where your health and safety is concerned, is there any other choice? I watched him explain these details to his patients with inquiries about the whole range of Laser Vision Surgery options, from LASIK, LASEK, SBK, Epi-LASK, ASA, Bladeless LASIK, to PRK. He helped patients with chronic dry-eye, cataracts, corneal transplant, pterygium, pinguecula, Keratoconusand ICL. Each patient got a treatment option that was unique to his or her needs, but they all got the same pledge of dedication and commitment. It was clearly evident that whatever they needed, nobody else other than Dr. Gulani would work harder to give it to them. My experience with Dr. Gulani really got me thinking about the differences between being a patient at the Gulani Vision Institute, as opposed to somewhere else. Why have we as a culture settled for “standards of care” at other facilities? How did that phrase even become acceptable jargon? In a time when we have more ways to order coffee than I can count, a different cut of jeans for every day of the week, how have we allowed our health care system to fall so far? It’s one more way that Dr. Gulani has pulled ahead of the pack. His office staff is equally ready, professional, and caring. I’ve never seen any other practice that allows the family and friends to sit down and spend any amount of time they need to discuss options and concern in a private, comfortably furnished room. Shouldn’t we all expect more from our choice in surgeons? Don’t we deserve individualized care? I could go on for pages relaying all that I witnessed as a fly on the wall at Gulani Vision Institute, but I’ll settle instead for a summary of these awesome experiences in an attempt at brevity. One of Dr. Gulani’s first patients had been told by other doctors that there was nothing that could be done to repair the damage from her previous Radial Keratotomy (RK) surgery. She came in for her follow up, and I watched her demonstrate her 20/20 vision. Tearfully smiling from ear to ear, she wanted to take as many brochures as she could carry to her community in South Florida. She said she’d come back with a busload of friends for Dr. Gulani to meet. She also sat down to do a video testimonial; she wanted to share her experience with other patients who have been told by surgeons simply to go home and live with glasses. I scurried along behind him as he greeted patients in the exam rooms with a blend of joyful introduction and solemn concern. Each with varying conditions, but all of these people similar in their gratitude. When he was between patients he was doing all of those little things that most of us don’t even know are missing until someone goes that extra mile. 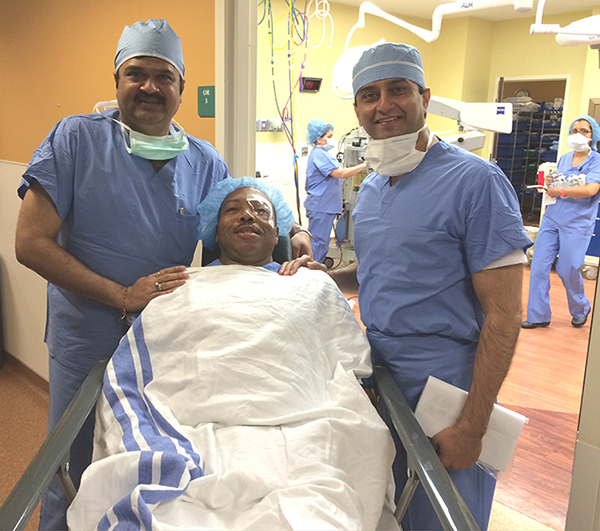 I watched him educate another eye surgeon who was shadowing him in preparation for his Board Exams in London. 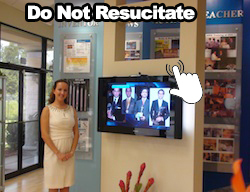 He returned emails of past patients who were updating him of their accomplishments, looking up to him as a source of inspiration in becoming the “Dr. Gulanis “ of their professions. I watched him call a patient who had come from Australia – just to be sure the patient had had a safe flight home. I saw Dr. Gulani sitting down with a concerned family of a young man – the way you might sit in a living room with your own family. The young man had come from Puerto Rico with poor vision that severely influenced his daily life. Dr. Gulani explained this man’s options and then surprising them all by not charging for his extensive consult. It’s not just me who is anxious to talk about my time with Dr. Gulani. His patient from New York was calling with ideas of how to spread Dr. Gulani’s name in the North East. Many patients stood their turns to take pictures with Dr. Gulani before leaving, each of them anxious of get home and boast about “Gulani Vision Experience” to their families and friends. I guess it shouldn’t be that surprising to me, given my current writing project, but I’m amazed that these patients take it upon themselves to spread the news about this unmatched experience. Think about. When have you liked a trip to the doctor’s office this much? When have you heard someone else talk about their awesome experience at the eye doctor? I know there will be some people who read this article and hear only an employee trying to impress her new boss with laudable words and compliments. But I hope that most of you will take this article as a call to action. I hope you will learn from my experience and realize that that there is great service still out there in the medical community. We need only raise our expectations and set the bar high in order to separate the excellent surgeon from the “standard of care.” I encourage all of you to think about the level of care you are receiving from your current physician. Does your doctor greet you by name, or check in with your progress after you have healed and gone your merry way? We have such a surgeon right here in Jacksonville whose excellent service is recognized all around the world, by patients and doctors alike. He is turning our city of Jacksonville into the vision destination of the world.